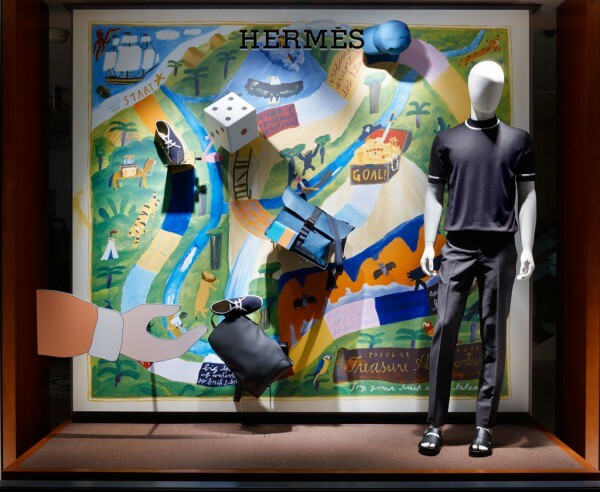 We created a window display to be deployed at 31 locations nation-wide under Hermès' theme for the year 2018: “LET’S PLAY!” Children are naturals when it comes to play, discovering a sense of playfulness wherever they go. 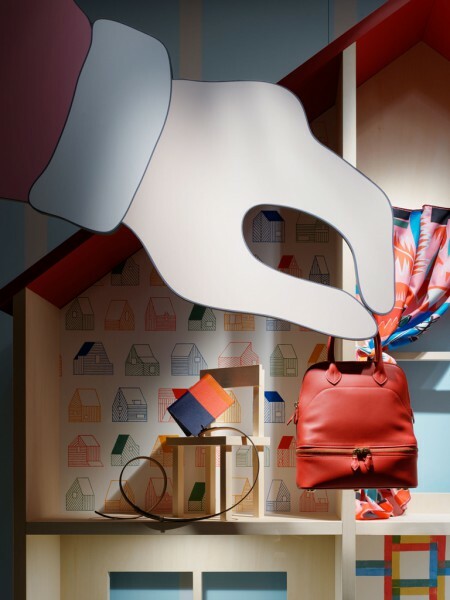 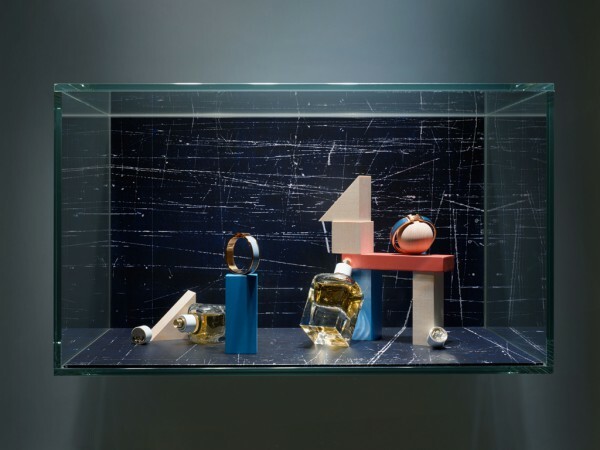 Having the windows resemble a child’s room during playtime, we proposed displaying Hermès’ products as though they were toys. 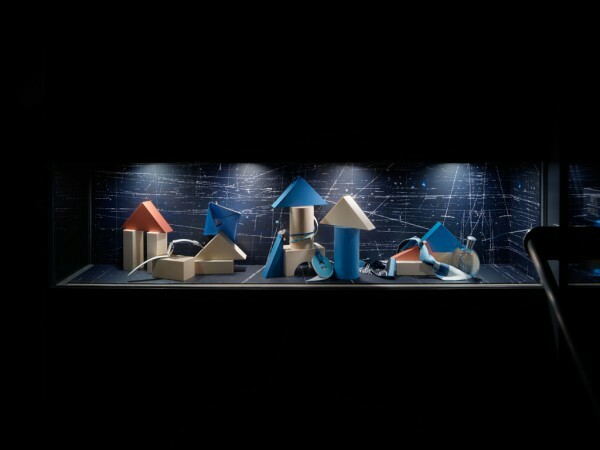 Inside the windows, lots of toys lie scattered around as though in the middle of play. 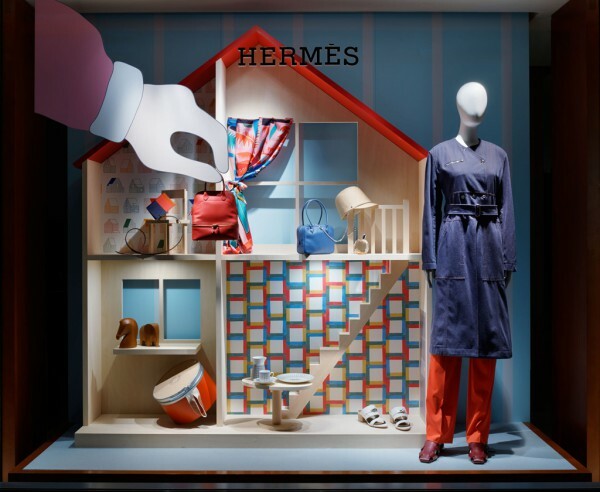 A doll house has been placed in the girl’s room and, with a dressed-up doll-like mannequin and curtain-like scarf in the background, a girl reaches out her hand as though she is about to decorate the room with a bag. 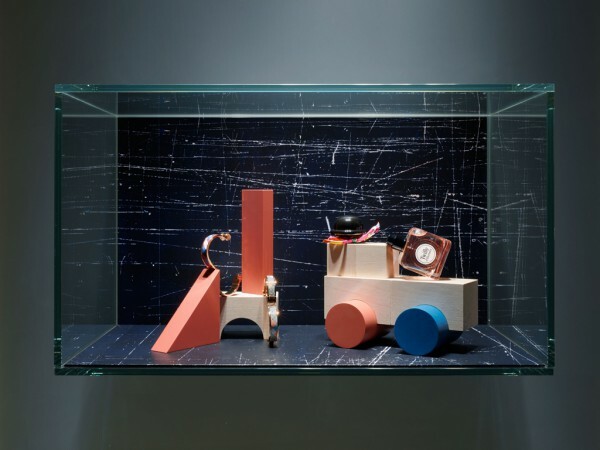 In the boy’s room, a dice board extends across the room and the products serve as pieces arranged on the surface of the board. 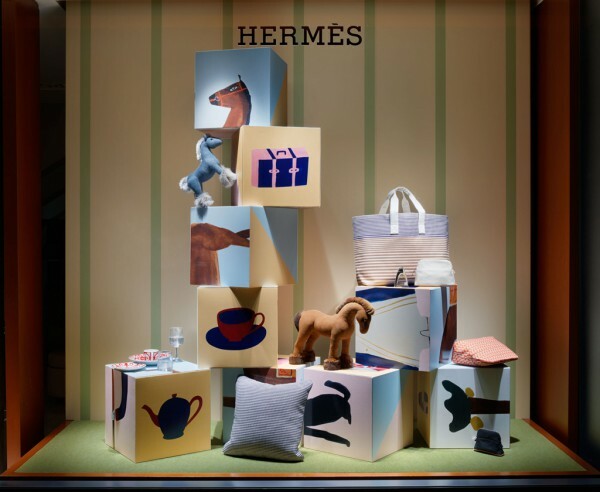 Inside the window with a building block puzzle, products are mixed together within the pattern-matching game and Hermès products become a part of the toys with which children are playing. 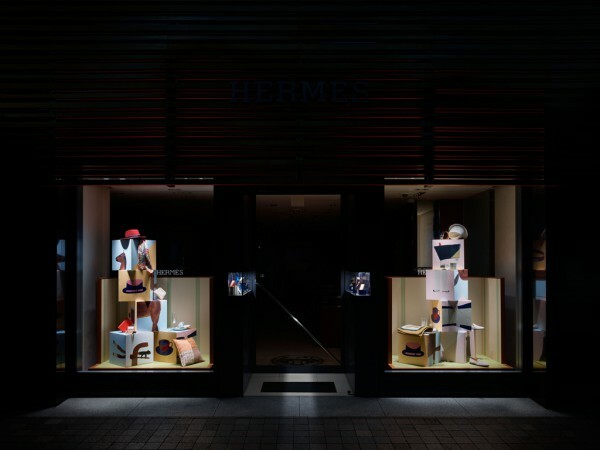 We aimed for a playful kind of window display that would make people walking down the street reconnect with their inner child.